The Company of Heaven and YOU! FIRE them to see with the sight of God! FIRE them to hear the celestial voice of their presence! FIRE them to move upon the paths of light! Activate your Abundance with Mother Mary in our *FREE* 21 Day Challenge! WELCOME STUDENTS OF THE SEVEN SACRED FLAMES! You have learned about the powerful gifts of the Seven Sacred Rays. Are you ready to create with the Mighty Elohim? You may love learning about the Sacred Fire. You’re using the Violet Flame to purify your body and your life and yet things are staying pretty much the same in your outer experience. Have you been on the spiritual path for a while and feel that your spiritual practice is weak and you’re longing to connect with your God Self in a deeper and more meaningful way. Maybe you’re ready to build a relationship with the Angelic Realms, the Ascended Masters and the Mighty Elohim? Is your life purpose still on the back burner, and seems to be stuck or only partially developed? Or maybe the good things that happen to you, don’t last. YOU CAN BECOME A MASTER OF ENERGY WITHIN YOURSELF. THE ELOHIM HAVE WANTED TO INSTRUCT YOU IN THIS FOR THE LONGEST TIME. The Elohim created this entire Solar System from a Divine Idea. Their 7 Steps of Precipitation (pulling Heaven on Earth using the Sacred Fire) is pure mastery and you can learn it and use it. You use it all the time already, but with their help you will perfect your co-creating skills and stop making mistakes. CREATING WITH THE ELOHIM begins on Thursday, January 3rd. 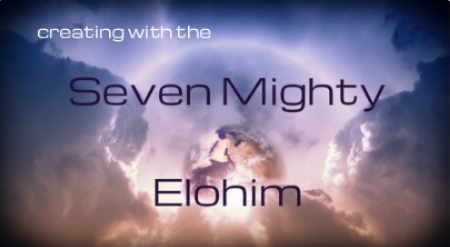 Our live Elohim Circle meets on Tuesday morning, January 8th at 8:30 AM. All classes are recorded so that you can take this class at your convenience or join us live. 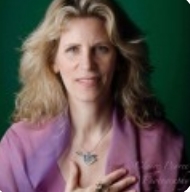 You’re intuition includes a 1:1 Mystical Journey Session with Jennifer. PARTNER WITH THE ELOHIM AS THEY INSTRUCT YOU IN MANIFESTING GREATER GLORY IN YOUR OWN LIFE. DEEPEN YOUR UNDERSTANDING OF THE SEVEN SACRED RAYS AND HOW TO USE THEM. LEARN THE 7 STEPS OF PRECIPITATION AND BUILD SOMETHING VERY PERSONAL AND VALUABLE FOR YOURSELF; WHICH WILL ENRICH, ILLUMINE AND BLESS THE ENTIRE HUMAN RACE. START USING THE CREATIVE POWERS OF THOUGHT, FEELING, SPOKEN WORD AND ACTION AS GOD INTENDED THEM TO BE USED. You are indeed the Master of your own fate and the Captain of your own soul. In this Master Class you will be stepping into more of your own mastery. Oh Wise One! This class has been brilliant. I've loved every part of it! I really dig the recordings. I listen to them in pieces - absorbing 15, 20 or 30 minutes at a time and taking the end meditations to bed with me - into that space before sleep. Somehow that fits me perfectly. If I need to hear something you said again I rewind or play sections over and over until it's really in me. What I've been working with the Elohim to create is really coming from deep within and I've appreciated the instruction to keep it close. That's felt very aligned to my own process. "Thank you again for a wonderful class. I really enjoyed learning about the Elohim and the Ascended Masters. I loved your guided meditations. 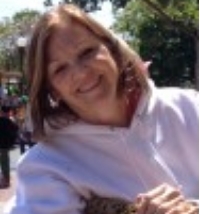 …I found it very useful in my creative endeavors." I'm so grateful to you and for you. I absolutely LOVE these teachings and the way you teach it. When the student is ready, the teacher appears. These teachings are so familiar and yet new at the same time. It's like coming home to my inner mystic after a long journey into the outerworld where I lost my way yet as I enter this new/old land, I am reminded of what was within me all the time.